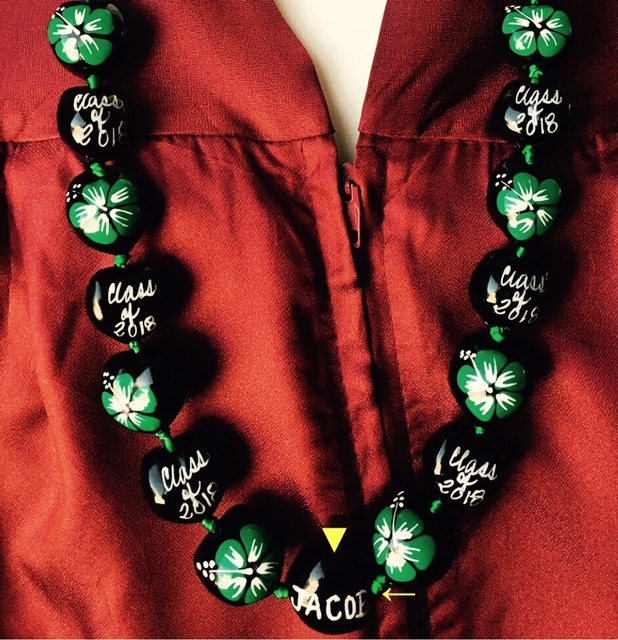 We offer Name personalization of 1 (ONE) single nut in the center of the lei. 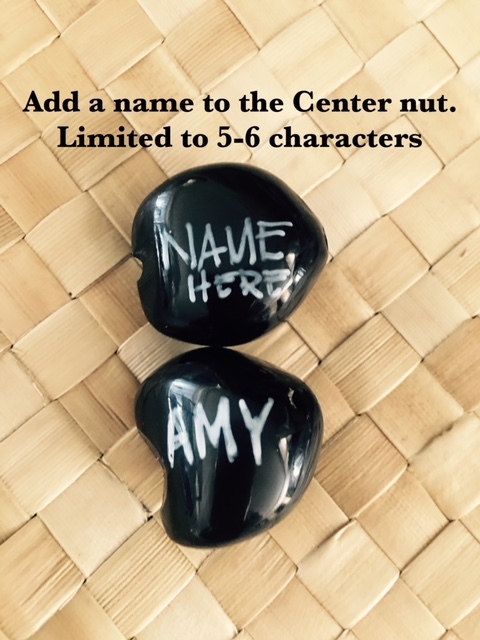 Names are limited to 5-6 characters only. White Ink will be used for writing.